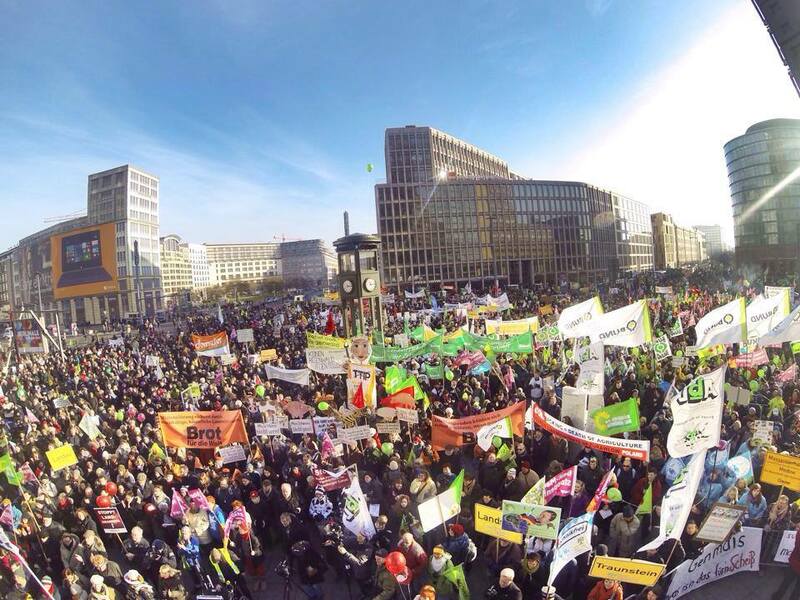 30,000 people from many backgrounds, ages and organisations met together in the Berlin winter sunshine to say, loudly and clearly, We Are Fed Up! 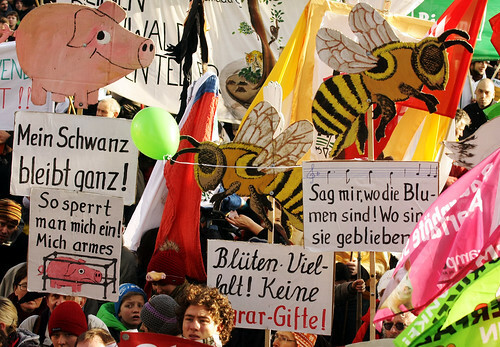 The industrialised food system was the target of this colourful, carnival-style demo, which, while exhuberent, also aimed anger at what is happening to our food and our planet. 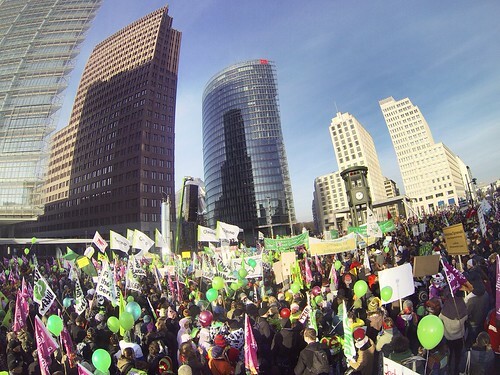 This video, by Francetv info, provides a peek into how it felt in the middle of the march. 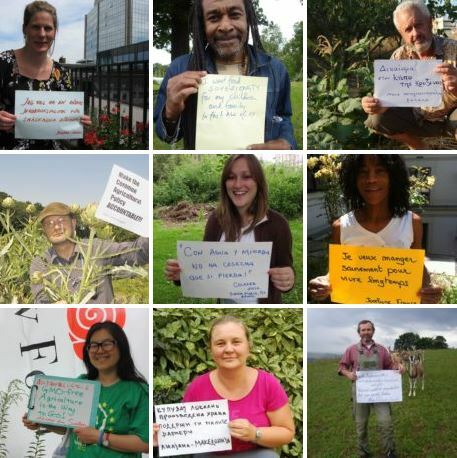 Seeds, TTIP, GM, factory farming, hunger, CAP reform and an array of issues around the industrialisation of agri-food were patricipants’ focus. Along with the 30,000 people, over 70 tractors were involved in the march, many festooned with banners, placards and other colourful material. A great crew from Arc2020 took to the stage, including Pavlos Georgiadis who gave a rousing, riveting speech about the situation in his home country Greece as well as what’s happening with the industrialisation of agri-food more generally. Photos from the ARC2020 team on stage, looking out at the view in the photo to the left, here. The annual ‘We Are Fed Up!’ (Wir haben es satt! 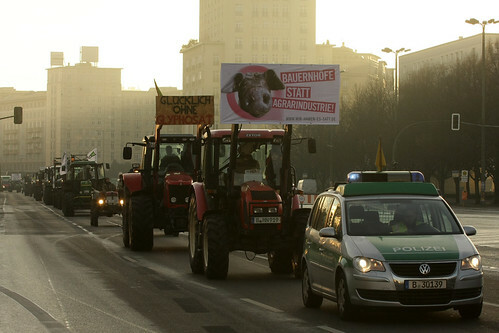 in German) demonstrations are a lively, exciting way of bringing together tens of thousands of likeminded individuals. The event provides plenty of opportunities before and after the demonstration to share ideas and get inspired by projects and campaigns : in the days before the demo there was a ‘Street Food’ market at the Markthalle 9 dedicated to foods from the province of Brandenburg which surrounds Berlin, as well as a disco soup where people chopped veggies together to make soup for the next day. Right after the demonstration, people headed over to the Heinrich Böll Stiftung, where the soup was served downstairs as people rested, chatted, and some even danced. 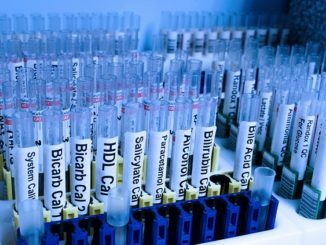 Moreover, the event is a great way to bring the issues outlined above to a wide audience. 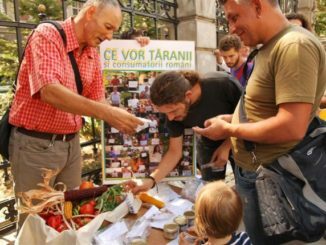 Colleagues have picked up on the story across the world, including the IATP, and the event has been featured extensively in the press (links below). 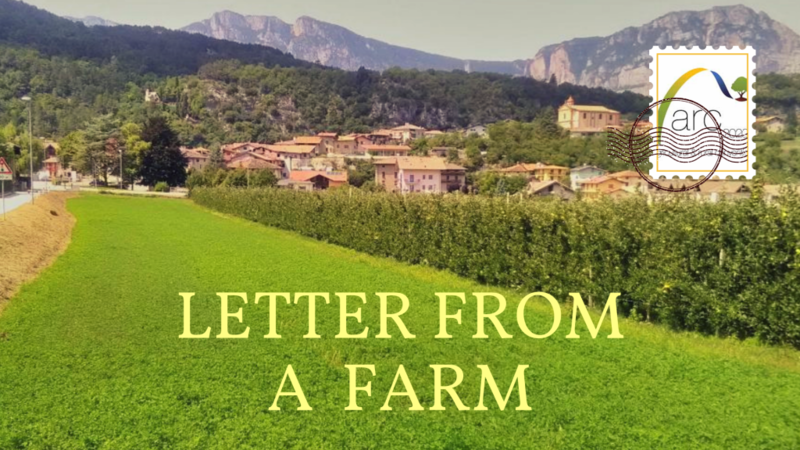 “Our message today is clear: If the EU loses its small farmers and its family farms, then it loses its history, it loses its culture, it loses its identity; it would not exist anymore…”, Carlo Petrini, founder of the International Slow Food Movement said. 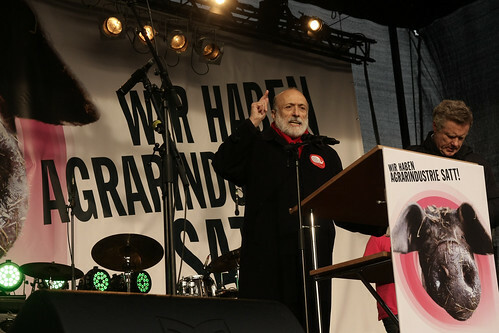 See here for a video of Petrini’s speech in front of the German Chancellory (in Italian and German). 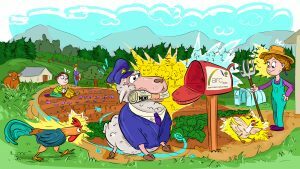 Tausende demonstrieren gegen die Agrarindustrie, B.Z. Good for Europe ! A Great showing!